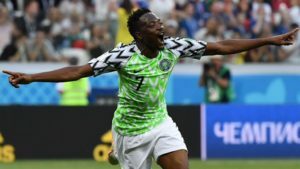 Ahmed Musa will once again wear the captain armband when Nigeria take on Libya in back to back AFCON 2019 Qualifiers tie next week and not former vice captain Ogenyi Onazi. Onazi replaced Musa as first vice captain to Mikel Obi last year with many speculating that he will wear the band whenever Mikel is not available but that won’t be the case. Mikel won’t be available for the game against Libya due to fitness issues as first reported by this portal but just like it was against Seychelles, Musa will still continue in his role as captain ahead of Onazi. 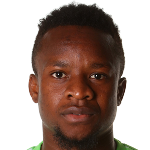 ” Onazi didn’t lose his armband due to any rift with Mikel. Hierarchy was used in determining the vice captain and Musa is ahead of him. 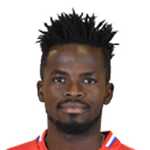 If Onazi is on the pitch and Musa is not then he will captain. Simple as that”, he concluded.